I may be right on the cusp of a generational boundary, but since I am too young to be Generation X, I am, by default, a millennial. So, socially and perhaps demographically speaking, baby boomers despise me just as much as my fellow younger millennials who are just graduating college and wasting their time at work on memes. One of the ways I think I do that is by trying to ensure that I have my facts straight when I present a case or proposition on the Internet, because my intended audience can probably Google it in seven seconds and call me out on it if I’m wrong. 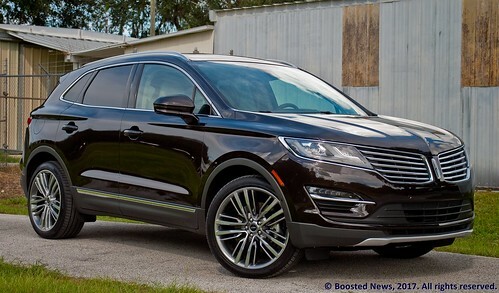 So, yes, the Lincoln MKC, the crossover made famous not only by the Matthew McConaughey commercials but their parodies as well, is based on the Ford Global C platform which it shares with the Escape. That information would make the casual Internet researcher flippantly condemn the MKC as nothing more than an Escape adorned with a Lincoln badge to swoon the aforementioned baby boomer demographic, a badge that somehow commands a several thousand dollar premium. Is that true? Has Ford learned nothing from their previous rebadging follies, the same practice that rendered the entire Mercury brand essentially pointless and ultimately nonexistent? 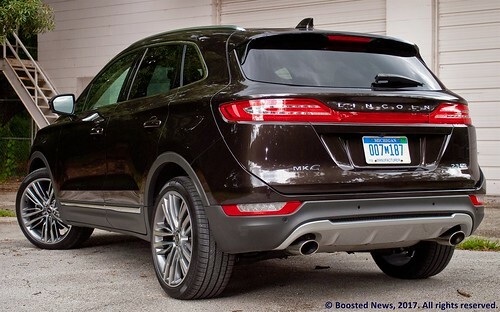 Yes, the MKC has a completely different style to the front fascia than the Escape, and the clamshell rear hatch makes a slightly larger opening into the rear cargo area, and it also takes the signature elongated Lincoln taillights with it on the way up, which explains the additional parking lights in the rear bumper, to make NTHSA happy. But the MKC’s separation from the Escape goes deeper than some different body panels. My test vehicle, an MKC Reserve, came with the larger 2.3L EcoBoost 4cyl engine, and though Mustang and Focus RS owners won’t like to admit it, that engine first appeared in the MKC. Being an EcoBoost engine, it’s of course turbocharged, intercooled, and direct injected, and in the MKC it makes 285hp and 305 ft-lbs of torque. 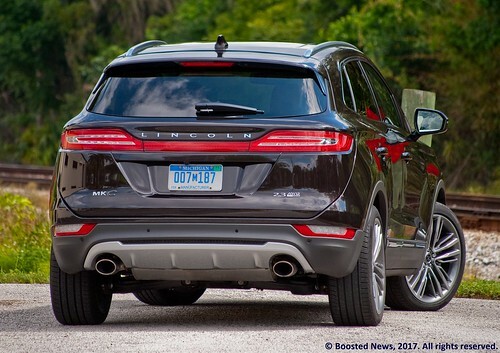 The MKC is Lincoln’s first compact crossover, so it doesn’t have a predecessor, but the EcoBoost engine makes more power and lots more torque than the V6 that used to power the Escape and the deceased Mercury equivalent, the Mariner. 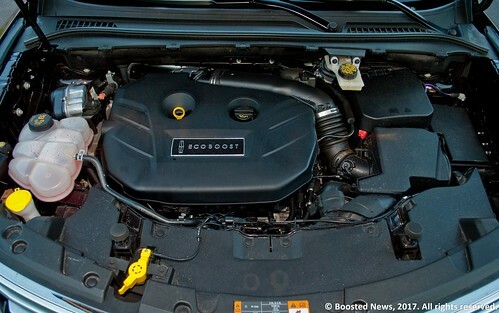 It’s also an engine not available in the current Escape, so there is at least some exclusivity there. The 2.3L EcoBoost MKCs come standard with AWD and a six-speed automatic transmission. Tangentially, I’d like to note that essentially all automatic gear selectors in modern cars are electronic. Their purpose is nothing other than to tell a sensor to put the transmission in gear; there is no mechanical connection between the heavy, bulky lever you’re moving into D and the transmission. It’s still there in the vast majority of new cars just because that’s what is familiar to most drivers. Thus, I applaud Lincoln for taking the leap and removing the unnecessary PRNDL shifter altogether and simply putting five big buttons on the dashboard next to the multifunction display for P, R, N, D, and finally S, which, astonishingly, enables the paddles on the steering wheel and puts the transmission in a true manual mode that will not upshift until you tell it to do so, something I did not expect to find in a luxury crossover. So, with the transmission in S mode and me upshifting right at the redline every time, the MKC pulled off a 6.8 second 0-60 time and 15.2 second quarter-mile time with a 90mph trap speed. Even being turbocharged, that’s an impressive time for a 4cyl engine turning all four wheels to move a vehicle just a few pounds short of two tons. That said, perhaps because of the weight, the observed fuel economy was certainly more akin to what I would expect from a 6cyl engine at 16.5mpg. The weight can be attributed to the amount of luxury inside the MKC, because there’s plenty of it. 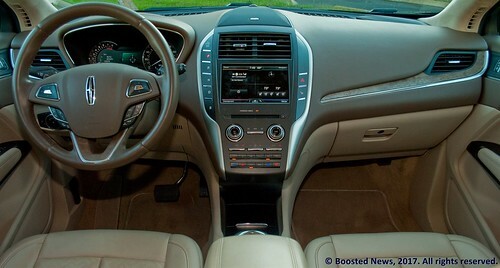 The absence of the PRNDL shift lever makes the dashboard a much cleaner and aesthetically pleasing design, and also leaves room for other niceties, like a sharply angled center stack that puts the HVAC controls and the buttons for the heated and, more importantly in Florida, ventilated seats in a position that makes them fall perfectly to hand if your arm is on the center armrest. Front legroom is a bit lacking, unfortunately, but there is plenty of space between the passenger’s head and the Alcantara headliner. The interior design is properly elegant as a Lincoln should be, yet it’s functional as well, with Sync 3 available for 2017 with Apple CarPlay and Android Auto. The Escape has a good interior, but the MKC most certainly does not have an Escape interior with a Lincoln badge on the steering wheel. It’s entirely different and on another level. The other important aspect of a Lincoln is ride comfort. Thankfully, a trip to Busch Gardens with 4 friends made sure to put the MKC’s accommodations to a proper test. After the hour and a half journey to Tampa, everyone was remarking on how comfortable the ride was and how quiet the interior was, although space in the back seat for 3 adults was limited. But after everyone was tuckered out from a full day’s worth of theme park rides and shows, everyone was sound asleep on the way back to Orlando except me. I’m sure the scene from the outside bore something of a resemblance to the Matthew McConaughey commercials of the MKC cruising along with four passengers conked out and me, the driver, peacefully staring down the highway. I’m definitely not Matthew McConaughey, however, and even though my passengers were asleep, I wasn’t discussing any ethereal concepts with myself. 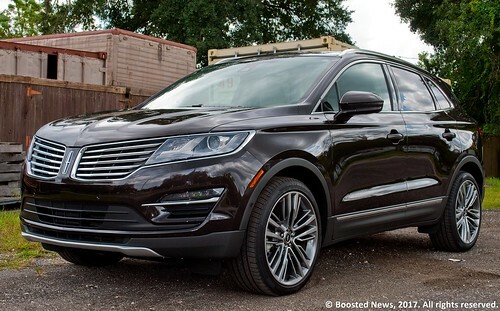 But, the remaining question is, does the Lincoln MKC appeal to us millennials now instead of Lincoln’s perceived customer, the baby boomers we enrage? That’s tough to say, as my MKC as tested just eked past 50 grand. That’s the kind of money most millennials don’t have. The MKC is perhaps best suited toward Gen Xers at this point, the generation that is old enough now to accept that the MTV they knew and loved is gone and they can’t get out of that board meeting Tuesday at 10am. They, and their boss, will appreciate the MKC’s style and luxurious appointments, and maybe a part of them that still yearns for some thrill in their lives will appreciate that the MKC has a turbo and shares its engine with the fiery-hot Focus RS. I know I, the creator and author of a website called Boosted News, appreciate that. Test vehicle provided by Ford Motor Company.